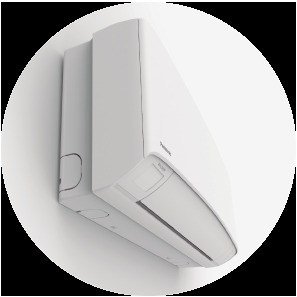 New Etherea with Econavi intelligent sensor and new nanoe™ air-purifying system: outstanding efficiency A+++, comfort (Super Quiet technology only 19dB(A)) and healthy air combined with a breakthrough design. Not everyone is ready for change. Indeed, there are some who resist the future. But at Panasonic we will keep believing in technologies that improve people’s lives. 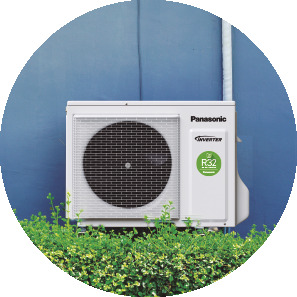 Which is why we are now presenting a generation of air conditioners with R32, an innovative refrigerant in all ways imaginable: it is easy to install, and compared to most other refrigerants it has a much lower environmental impact and saves energy. The result? Greater wellbeing for people and for the planet. Because there will always be people who resist change. But we say: Goodbye yesterday. Hello R32. European regulation EU 517/2014 makes the replacement of fluorinated gases (F-gases) compulsory, such as R410A, for environmental reasons, although it also grants a transition period from 2017 to 2030. So much saved with so little effort. 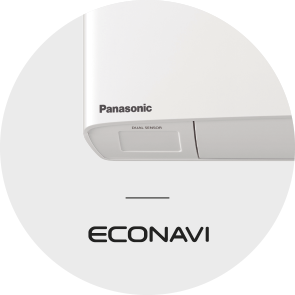 Econavi features an in-built human activity sensor and a new sunlight detection technology to adjust output thereby giving you the best comfort at anytime whilst saving energy. Econavi not only optimizes air flow orientation and volume according to human presence, it also reduces cooling power automatically by no/less sunshine. 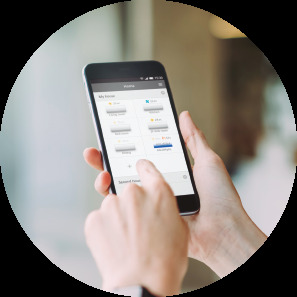 With Econavi, energy savings of up to 38% are possible, whilst increasing your comfort. Furthermore, the nanoe™ revolutionary air-purifying system utilises nano technology fine particles to remove and deactivate 99% of both airborne and adhesive micro-organisms like bacteria, viruses and mould. Using nanoe™ with nano-technology, fine particles purify the air in the room. It works effectively on airborne and adhesive micro-organisms such as bacteria, viruses and mould thus ensuring a cleaner living environment. 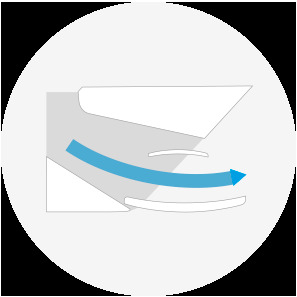 Mild dry cooling maintains a higher level of relative humidity of up to 10% compared to regular cooling operation. This helps to reduce skin dryness - and a dry throat.